Games and activities are an important part of almost every EFL classroom and should be built right into your lesson plan. Games for EFL classes and their related activities create situations where students can use the target language of the lesson in a playful situation or in presentation or production exercises. Games and activities allow opportunities to use language repeatedly and to build a habit from the structures provided. Most EFL classes start with a "warm-up" activity to help the students relax and settle into the class. The warm-up is often a game, just to start things on a "fun" level. Structured activities will be provided to students during the practice and production stages of the lesson as well and if time allows, a short language game may also be used at the end of the class. 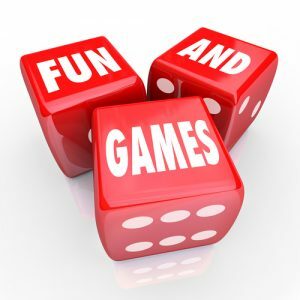 The basic idea of using games for EFL classes is to let the class play, have a couple laughs and some fun right at the very beginning, work them very hard in the middle and finish up the class with some fun. Following this process, where the class begins and ends with anxiety-reducing activities or games, we should find the students more motivated for their next class. Every experienced EFL teacher has several favorite games and activities that require minimal preparation. These games and activities also come in handy should you be asked to teach a class for someone else when you don't know the students and have not had an opportunity to prepare. Such surprises are not uncommon in the EFL teaching world. The Internet is full of websites of games and activities. Probably the best place to start is the "Idea Cookbook" at Dave's ESL Cafe. Spend some time at Dave's ESL and find five or six games that you enjoy and understand. Think about how to use those games in a variety of settings, with different age groups and for different topics. You Tube has a huge selection of videos with teachers talking about their favorite games. You can find that page HERE. AMAZON.com have many great ESL/EFL game books some with hundreds of games in them. A few will have free digital same versions and some will have very inexpensive Kindle editions. You can find that page HERE. Do a web search yourself and see how many websites you find. There are literally hundreds. The website that provides the graphic at the top of the page also has lots and lots of activities. The great majority of these things are free so go get them!